Recent changes in healthcare mean more uninsured patients and high deductible policies in your payment mix. If you consider that the percentage of a bill that is a patient’s responsibility under their health plans has nearly doubled in recent years, the need for a well-oiled collections machine is becoming more of a priority – not to mention a challenge – for most medical practices. 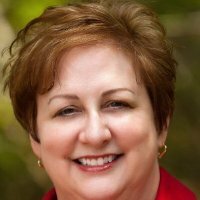 Mary Pat Whaley, FACMPE, CPC of Manage My Practice, LLC, is an industry recognized medical practice management consultant and blogger with more than 25 years of experience working with physician practices of all sizes and specialties in the private and public sectors. She is board certified in medical practice management and a fellow in the American College of Medical Practice Executives, and has worked with many of the leading medical billing and electronic medical record (EMR) solutions. Her company’s emphasis is on getting solo and small practices paid what is due to them more quickly.